Meet my friend Levav from Israel. Levav means “heart” in Hebrew, and she is a child with a generous heart. She has a beautiful smile and exudes joy with every fiber of her being. Levav has Down Syndrome. For Levav, Heart of Benjamin is her favorite place to go to each week – she is always excited and jumps out of bed when it is a “Heart of Benjamin” day. While at Heart of Benjamin, she gets amazing attention from the staff and volunteers who take care of her. They not only meet her physical needs for therapy, but they also surround her with Love. Heart of Benjamin is a place where she feels safe, where she feels loved, where she has the best friends in the whole world. For Levav’s parents, Heart of Benjamin is priceless. They love knowing that she is in a safe place where she can thrive and grow to her fullest potential. Heart of Benjamin is especially vital during the upcoming Passover holiday where there is a 3 week break from regular school schedules. 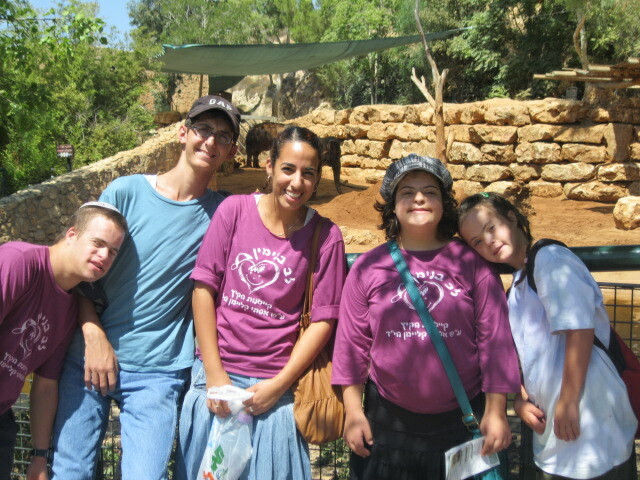 Heart of Benjamin runs day camps during the first week, which are designed for their special children. These camps provide recreational experiences, such as nature hikes, visits to zoos, and amusement parks that children like Levav would normally not be able to enjoy. I am asking you to join me in blessing Levav and 29 of her friends at Heart of Benjamin this Passover by giving your best gift today. It only takes $60 to sponsor one child for one day. We are so thankful for all you have done and continue to do for the special people at Heart of Benjamin!